The Information Management Public Lectures give attention to exciting advances in research and professional practice. The topics are diverse reflecting the importance and global extent of Information Management in today’s society. The lectures are open to all members of the Dalhousie campus and surrounding community. Click here for the full schedule. We encourage you to attend in person, but if that is not possible you can access a recording on our website following the lecture. Live streaming is not currently available. Scientists have been communicators as long as there has been discoveries about the world around us and the universe beyond. Today, scientific research can be instrumental in helping to resolve major issues locally and globally. Seeking solutions to these problems is the responsibility of everyone: the public, governments, as well as researchers. Thus, communication about research is essential. How well is the communication working? This lecture features two presenters who will speak about their recent studies that investigated scientific communication from the perspectives of scientists and the strategies individual and environmental non-governmental organizations used to engage the public in discussion about science through social media platforms. This lecture will be of interest to all members of the academy, public policy professionals, and the public. In marine-management contexts, public engagement is increasingly being incorporated into the decision-making process. As governments devolve more responsibility for the management of marine space and resources, and ocean and coastal spaces become increasingly contested, it is more important than ever to establish effective communication between scientists and the public. However, the extent to which scientists embrace their role as communicators varies, as do the channels and methods of engagement they pursue. Scientists have historically relied on a “deficit model” of communication, which holds scientists and scientific information in a privileged position relative to the public. The public engagement with science field has repeatedly criticized this model, citing its repeated failures to improve science literacy or enhance support for science. Rather, they argue that scientists must engage with the public by becoming more open and responding to their interests and concerns. This study focuses on researchers affiliated with the Ocean Tracking Network (OTN), a global acoustic-telemetry network that collects data on aquatic animals for the purposes of informing management. Through surveys and interviews, data was collected to help understand the factors that encourage or discourage ocean and aquatic researchers from engaging with the public. The findings suggest that participants had a very positive view of “engagement” as a whole but differed in their interpretation of what engaging with the public entailed. Many participants also reported frequent contact with the public and media but little formal communications training. Citizens are increasingly being asked to participate in policy-making processes, and with the internet now a primary source of information, it is critical that policy-relevant research is communicated effectively online to equip lay people with the information they require to participate in decisions. Social media have the potential to facilitate two-way conversations needed for effective science communication; however, research communicators often struggle to reach lay audiences on these media. In this research project, the Twitter and Instagram activity of four individual scientists acting as recognized science communicators in North America and Europe was compared with the activity of three marine-focused non-governmental organizations (NGOs) (local, national, and international), paying particular attention to strategies that encourage audience engagement in two-way conversations. The study includes: 1) an analysis of public Twitter and Instagram data of each of the seven communicators to identify the social media strategies that are used and the resulting engagement in two-way conversations; 2) interviews with the individual and NGO communicators to determine their social media strategies; 3) a survey of audience members involved in two-way conversations to determine why they choose to participate in dialogues on social media, and 4) an audience “biography” analysis to determine whether communicators are engaging a non- scientific audience. The results of this study show that communication strategies have an important effect on social media engagement. More specifically, the evidence shows that a combination of interpersonal communication strategies, and how they are integrated throughout the social media activity of communicators via platform affordances, especially in Instagram, can have an important effect on the level of lay user engagement in two-way conversations over time. Further application of the interpersonal communication strategies could promote greater public engagement with science, including involvement with critical marine management issues that exist at the science- policy interface. 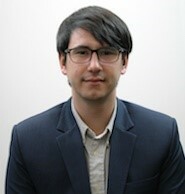 Alexander Desiré-Tesar is a former editor at The Walrus magazine. 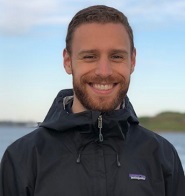 As a journalist, he developed an interest in science communication and the oceans, which then became the focus of his graduate research at Dalhousie University as part of the Master of Marine Management program. While pursuing an internship at the Ocean Tracking Network, a Dalhousie-headquartered network of ocean researchers, he surveyed scientists about their perspectives on the media, communications, and the general public. Alex has since returned to writing and editing stories, and can now talk about the ocean from a very modest position of authority. Curtis Martin recently completed the Master of Marine Management program at Dalhousie University. He moved from an emphasis on natural sciences and oceanography during his BSc studies at the University of Victoria, to embrace interdisciplinary interests in research on marine management and science communication. Curtis completed two internships during his studies for the Master of Marine Management—one with the Environmental Information: Use and Influence (EIUI) research program under the supervision of Dr. Bertrum MacDonald, and the second with the MEOPAR (Marine Environmental Observation, Prediction, and Response) Network. Curtis is now focused on promoting innovative and effective approaches to science communication with the public, in part, motivated by the results of his graduate research, which explored science communication on social media.